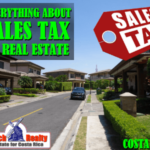 You’ve landed here because you want to live in Grecia or you are looking for Grecia real estate for sale. And you found the best company to represent you. 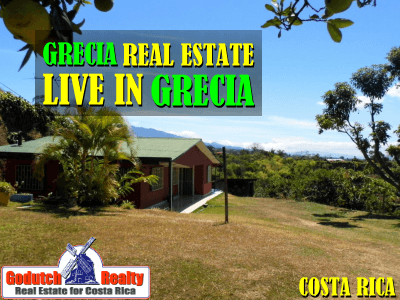 Looking at Grecia properties should be on the top of the list when you plan on moving to Costa Rica and the Central Valley. Try breathing the clean air in Grecia when you retire. That’s what you’ll get when you live in Grecia. 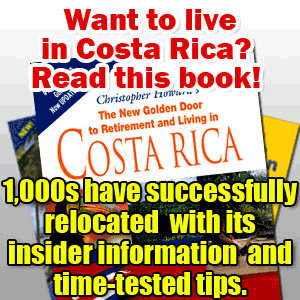 Are you planning to move to Costa Rica soon and maybe retire to Grecia? Do you like living in a small city with no high rises? Maybe streets you can still walk and parks you can sit in? Also, air that you can still breathe? Then you will love to live in Grecia and you should consider contacting me. The city has many different options for you. 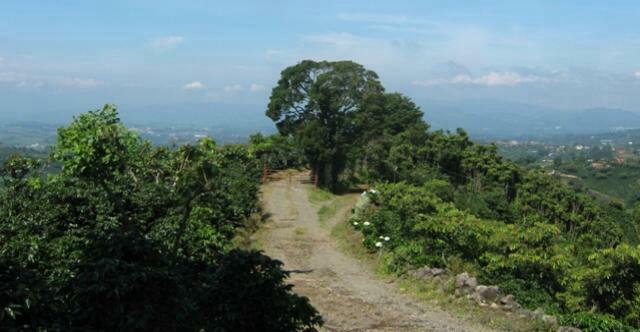 I have a great inventory of building lots with views. 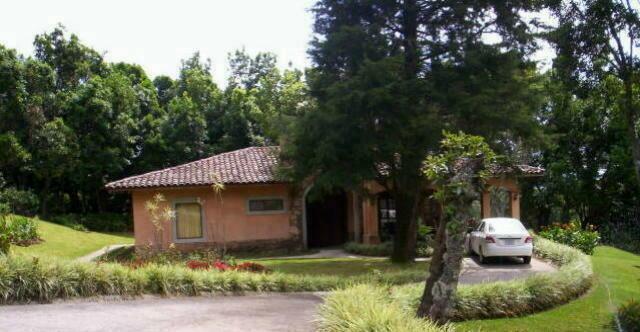 I also have an incredible choice of single-family homes with a large garden, small farms in perfect locations. And most of all, a unique lifestyle that you will love. Grecia is the first city you come to on the Pan American after the airport going west toward Puntarenas. 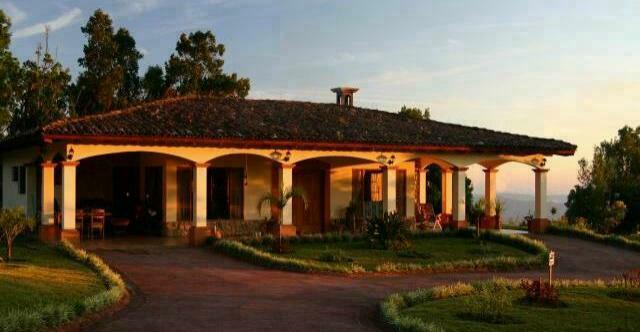 Located about 10 minutes off the Pan American highway, it is only 20 minutes from the International Airport. 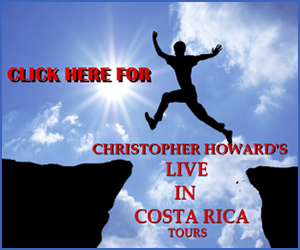 It is also only 45 minutes to the Central Pacific coast area, Jaco Beach, and Hermosa Beach, that offer some of the best surfing and is one of the first beaches you come to when leaving the Central Valley. 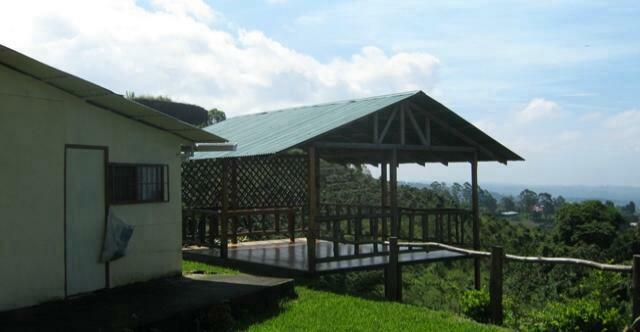 Located very close to Alajuela, the city is growing rapidly and has the amenities to show for it. That’s why you’ll love to live in Grecia! The quality of life is one of the things that make this city special in this area. Grecia has been known as the cleanest city in Latin America for three years in a row, and the people who live here are famous for their friendliness. The majority of “Griegos” are farmers. 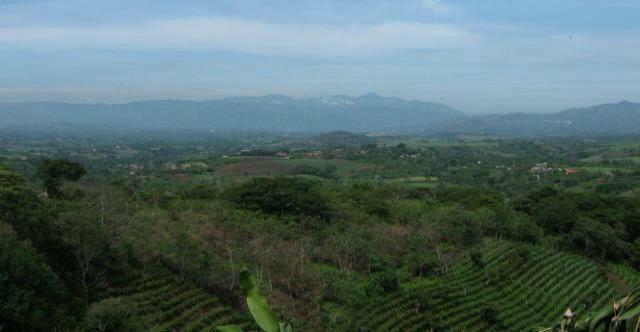 Sugar is the main crop here, closely followed by coffee, and vegetables. The city covers a huge area, it is one of the largest counties in the Central Valley and has many different altitudes ranging from 2800 ft to 5000 ft. If you sit in the park in front of the famous metal church, you will see farmers gathered talking about the price of sugar or cabbage, and kids playing and eating ice cream. It has a very successful outdoor market for fruit and veggies, meat, cheese, and fish. Shopping in Grecia is not as great as in Escazu, where you can find the fancy articles and up to date fashion stores, but it offers all your lesser fancy needs that you will be looking for if you like the laid back lifestyle of living in Grecia. There is a hospital right in the center of town. The city is also home to lots of recreational areas for camping, hiking, and picnics. Because of the large foreign population, there is an excellent selection of properties for sale and shopping for a nice property is something you will enjoy very much, I will make sure of that. 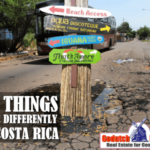 Renovated homes in Grecia, coffee plantations, as well as high-end North American built estates, are just some of the properties that can be found here. 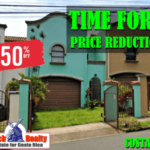 Great opportunities exist for all budgets; you can still get bargain prices for homes and land. Home to many national parks and green areas, Grecia is clean living in a perfect climate! Where you can still find building lots for real good prices are the higher and cooler parts where you can get incredible views, which combined with the friendliness of the locals and the rural restaurants, make for the best location possible if you are looking for properties or beautiful homes in Grecia. Grecia is the most cosmopolitan of all the small towns west of the Central Valley. Grecia features two malls, each with a movie theatre and various restaurants. A gym, and an abundance of restaurants. These range from Steakhouses to Chinese food and of course Tico food in the restaurants make this an excellent area for socializing. You can also find lots of live music at the various bars on the weekends. Artist fairs are found in the park on many weekends. Many social groups based on ex-pats have evolved throughout the last couple of years, so there is a good opportunity to socialize. Bilingual doctors and lawyers abound, this town is very foreigner friendly. Who wouldn’t like to live in Grecia? When you are trying to find the perfect lifestyle for you when you are going to retire in Grecia, make sure to give me a call or email me for a tour of the area. 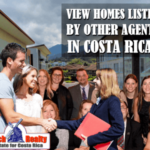 I can show you the best properties for sale, including single-family homes, farms, building lots, land for sale and view properties in Grecia. 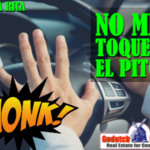 I invite you sincerely to give me a call or send me an email so I can show you what it is to live in Grecia and to buy properties is all about, you will love it here. If you have any questions about Grecia and surrounding areas, feel free to contact me. 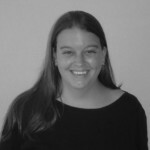 Contact Brooke NOW for a property tour.